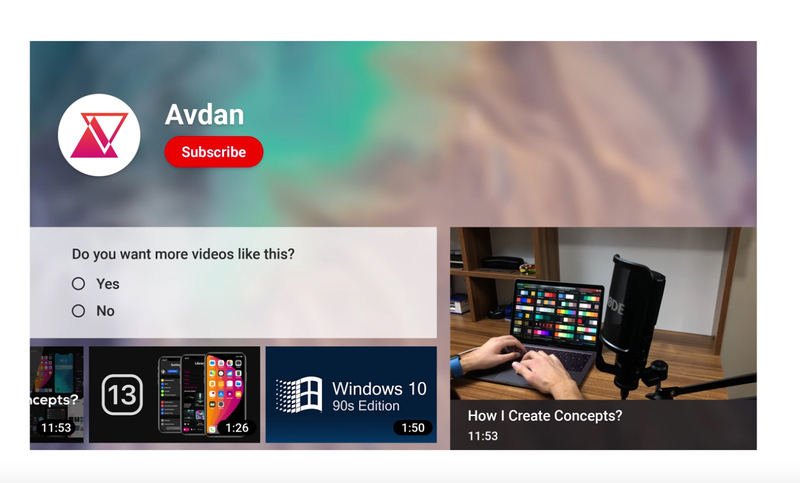 Serial concept creator Avdan has produced new designs for iOS 13, Windows 11, and Windows 7, to name but a few, and now he turns his sights to YouTube. Forget Windows 10, it's Windows Vista -- 2018 Edition we want! His updated design -- which also serves (unsurprisingly) as something of an advert for Avdan’s own channel -- brings the "you" back to YouTube and also restores the old "Broadcast yourself" tagline. 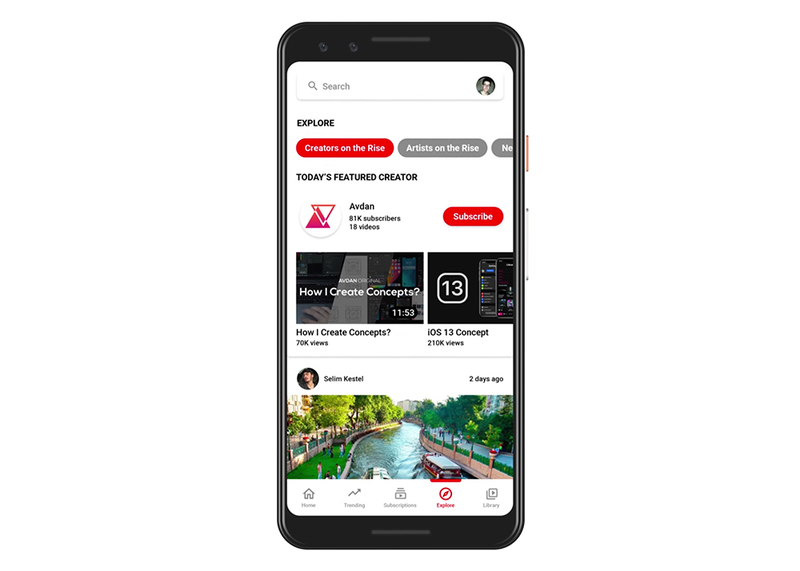 It offers smart ways to browse creators, and discover YouTubers you haven’t heard of previously via a new Explore tab. There’s an all-new Trending tab too, which lets you view just what you want to see. Avdan also imagines the comment section supporting images, videos and GIFs, but that’s definitely not a wise move. As one of the commenters of his video observes: "You just know that every comment section would have swastikas, a shock image and that one guy promoting his channel in there when he has like 4 subs". The concept additionally shows off nice Dark and Really Dark themes, and new end screens, like the one below. The addition of a Watch Later playlist on the Home tab is definitely something we’d like to see Google adapt. You can watch Avdan’s new YouTube concept below. Share your thoughts on it in the comments.